Echo Lake features a long list of desirable amenities; club-like spaces for socializing and entertaining, including a rooftop bar, multiple dining options, a 4,500-square-foot fitness and wellness center, theatre, sports simulation lounge, library and more. There is a not-so-visible amenity, however, that sets Echo Lake apart. SageLife is known for its emphasis on safety and many impressive safety features are built right in. Each of the 250 apartments is its own “envelope,” with fire rated walls, ceilings and floors. The independent living apartments are one hour rated and the assisted living and memory care apartments are two hour rated. The community is built to International Building Code Type I and Type II standards; the highest standards for fire safe construction. There are six stair towers. This feature maximizes accessibility to a safe exit from the building in the event of a fire. Doors in each stairwell are equipped with magnets that keep them open. But when the building’s fire alarm sounds, the magnets release, closing, but not locking, the door, forming a safety envelope on the stairwell platform that is two hour rated. Stairwell platforms measure 9 feet by 13 feet. They are “areas of rescue.” Oversized platforms and two-hour-rated stairwell walls allow people to "rescue in place." And, a “rescue button” just inside each stairwell door sends a signal to a fire alarm panel at the building’s entrance, alerting rescue personnel to the stairwell. The doors between the four sections of the community are three hour rated against fire. The community’s trash chute is two hour rated. Trash chutes are a common place for fires to start. 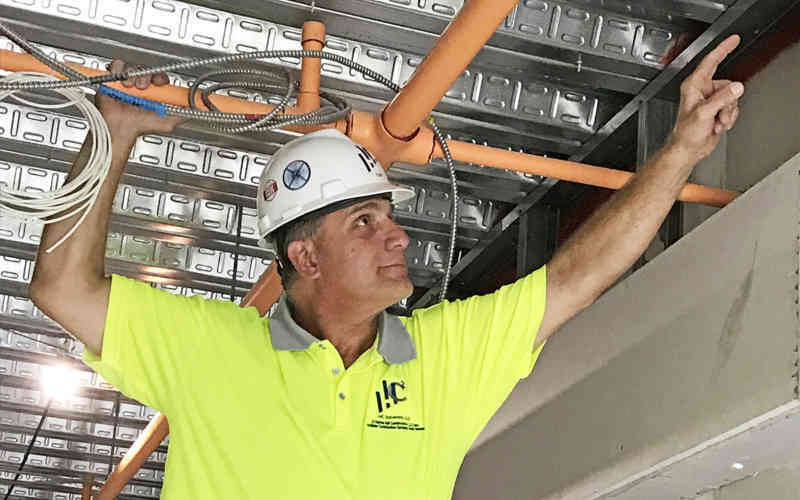 According to Anthony Iorfida, Senior Project Superintendent for Echo Lake’s construction, focusing on residents’ safety is how all senior living communities should be built. “We firmly believe community living is the best way to fully realize the potential of our senior years,” says Kelly Andress, founder and president of SageLife. “With that in mind, resident safety is of the highest priority. Peace of mind regarding safety enhances the dynamic lifestyle that is the key benefit of SageLife communities."